This is a special Kent Design event for parish councils, neighbourhood forums and anyone else involved in developing neighbourhood plans. We will be exploring how design and place-making objectives can be achieved through neighbourhood planning. How can design make villages and towns more successful and enjoyable places to live? Can we ensure that new development is well connected, supports the village or town economy, has calm and convivial streets, and responds to local character? 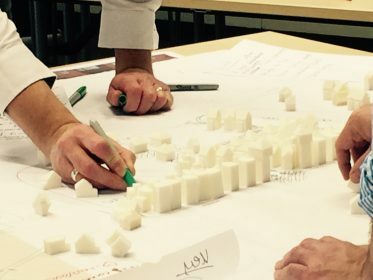 What design objectives is it legitimate to include in neighbourhood plans? How can we draft design policies so they are successfully enforced? The day will include some short presentations but it will mainly be a chance for you to bring your draft plans, notes from consultations or just early ideas about neighbourhood plans and discuss them with our expert team and your fellow neighbourhood planners.